Figures from the tennis community decry the penalty Williams received. 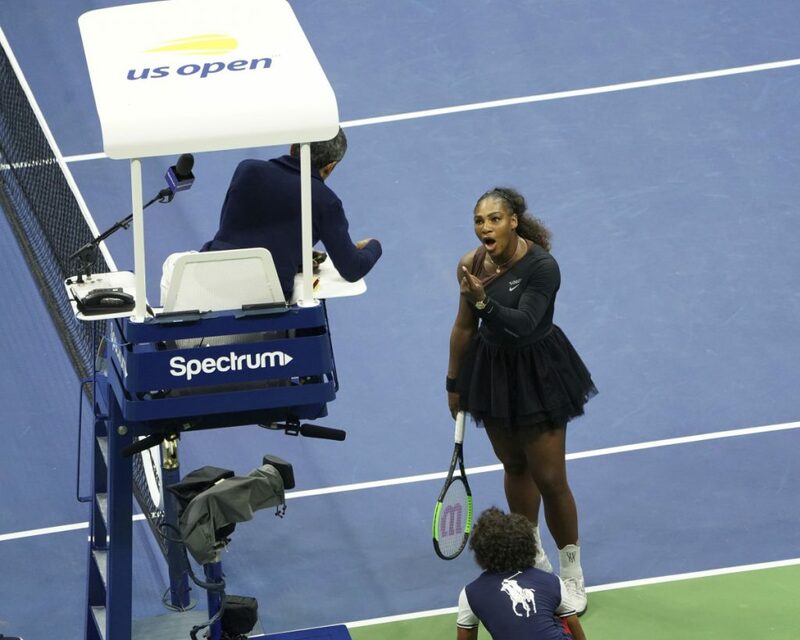 Serena Williams may have taken home the emotions she was going through after her controversial loss in the U.S. Open, but she seemed to be in mom mode, at least on social media, while Billie Jean King called out tennis for having a “double standard” toward women. It was left for others to go beyond Williams’ remarks to reporters and King, a pioneer in women’s rights and sports, quickly stepped up. “Several things went very wrong during the U.S. Open women’s finals today,” she tweeted. “Coaching on every point should be allowed in tennis. It isn’t and, as a result, a player was penalized for the actions of her coach. This should not happen. “I can’t sit here and say I wouldn’t say he’s a thief, because I thought he took a game from me,” Williams said. “I’ve seen other men call other umpires several things. I’m here fighting for women’s rights and for women’s equality and for all kinds of stuff. For me to say ‘thief’ and for him to take a game, it made me feel like it was a sexist remark. He’s never taken a game from a man because they said ‘thief.’ For me it blows my mind, but I’m going to continue to fight for women and to fight for us to have equal coordination – to be able to take our shirt off on the court without getting a fine. This is outrageous. Osaka played brilliantly, something that was lost in the bizarre circumstances of the second set of her 6-2, 6-4 win.